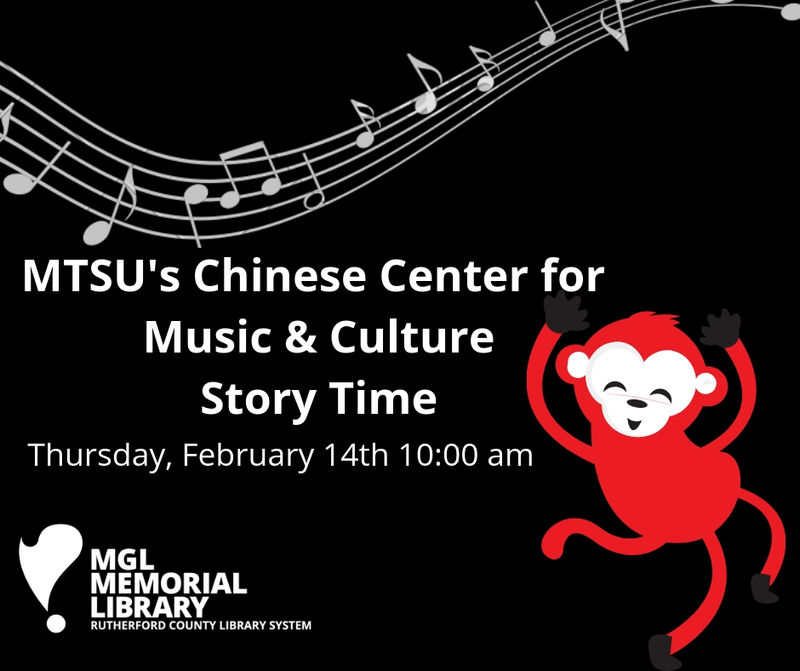 Join Dr. Yi Chen from MTSU Chinese Center for Music & Culture for "Story of the Monkey" and music focusing on the Chinese New Year. MGL Memorial Library is located inside the Patterson Park Community Center. Center membership is not required to visit the library.